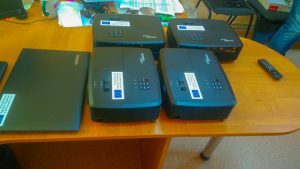 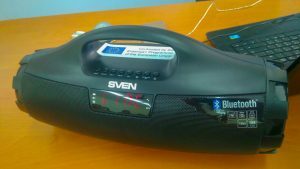 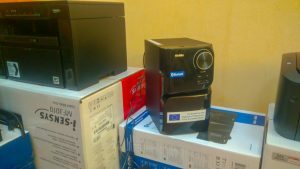 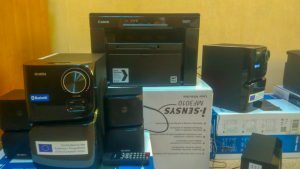 Equipment purchased within the EduLAw capacity-building project to be used by the staff of BSPU (Maxim Tank Belarusian State Pedagogical University) for the implementation of the project objectives, was installed at BSPU on 29 August 2018. 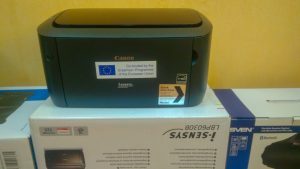 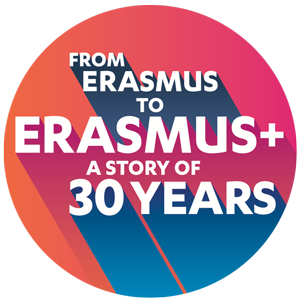 All the equipment items purchased with the Erasmus+ CBHE funds bear the Erasmus+ sticker. 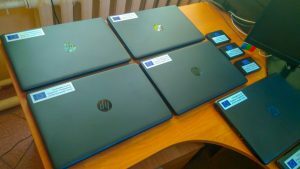 It includes 4 laptops 3 acoustics Sven, 1 wireless column Sven, 4 beamer/projectors Optima, 6 laptops DY and 3 external hard drive, 1 MFI, 1 printer Canon i-Sensys ENSYS, and 60 stickers with the Erasmus+ logo.